In a small bowl combine chili powder, cumin, coriander, kosher slat, and cayenne pepper. Remove the steaks from the refrigerator and run an even amount of the seasoning all over the steaks. Set the steaks aside and allow to rest for a half hour. 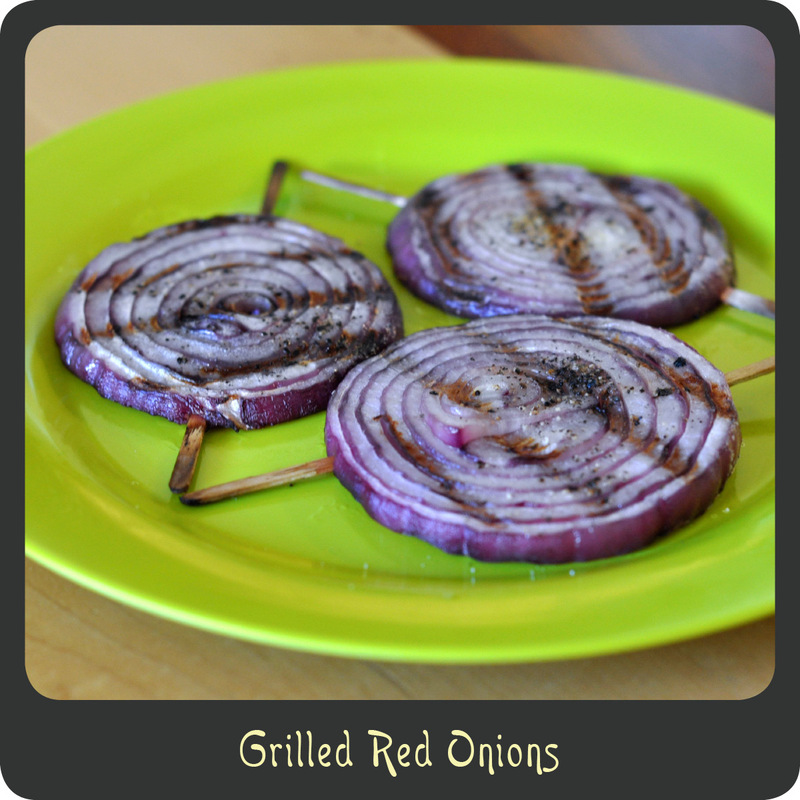 Once the grill has reached temperature cook the onions and steaks for about 5–6 minutes on each side flipping once or until the steaks have reached desired temperature. Transfer the steaks to a cutting board or serving dish and allow them to rest for 5 minutes for the juices to redistribute. 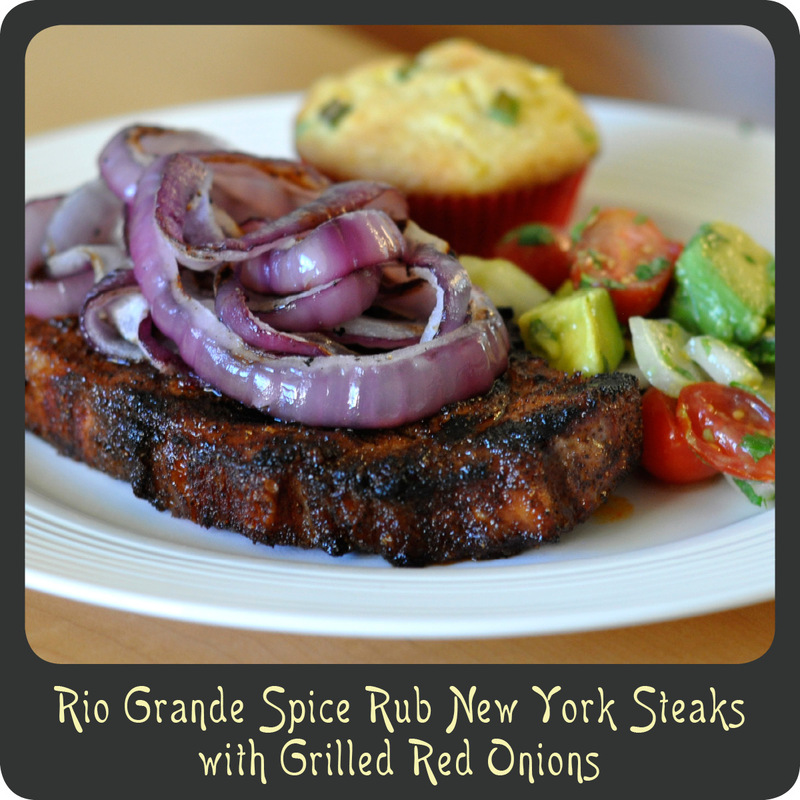 Garnish each steak with a pile of the grilled red onions. Looks absolutely amazing … I can almost taste it! !